“The American Red Cross is pledging an initial $200,000 to assist communities impacted by this earthquake, and is prepared to take further action as local responders assess the situation. As with most earthquakes, we expect to see immediate needs for food, water, temporary shelter, medical services and emotional support. 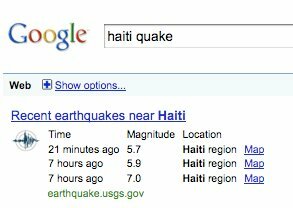 Meanwhile a Tsunami watch is in effect for Haiti, Cuba, Bahamas and Dominican Republic. Is Economy recovering? The BLS report suggests something different.